August Osage County is a phenomenal dark comedic play about a dysfunctional family. Being one of my favorite plays I loved to read and reread the play. Playbooks, however aren’t really intended for reading for leisure. 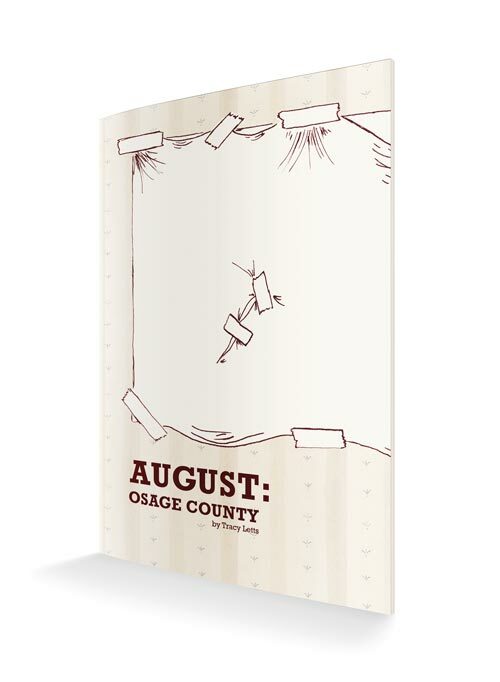 So with this project I decided to revamp August: Osage County, typographically and illustratively. I really looked into making the playbook scripts an easier reading experience. I focused on typographic layout and hierarchy. Since playbooks are generally meant for actors to help them learn their lines, they illustrative elements are written out in brackets. I decided to add a few illustrations that have ties with the character development. 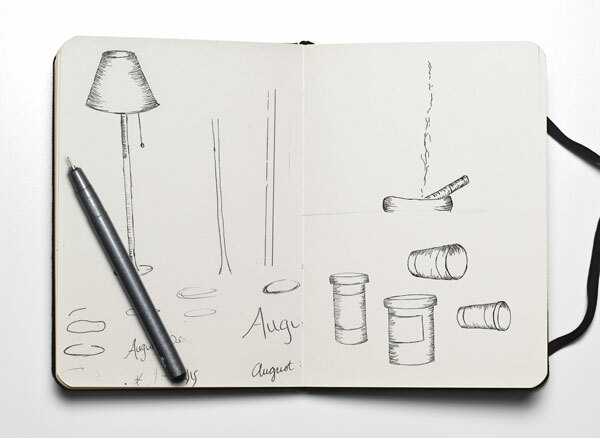 Although these designer edits are extremely atypical of the literature chosen as they would increase page count and production costs I believed that designing play books in this way might allow for them to extend their audience, and therefore the breadth of theatre and maybe eventually generate revenue from a different audience.